Pennsylvania-based Keystone Arms is headed to market with the first in a line of downsized classics with their Mini Mosin .22 rifle. The KSA 91/30 looks like a venerable Soviet Mosin-Nagant Model 91/30, the staple of the Red Army throughout World War II. However, instead of the shoulder-bruising 7.62x54R chambering and 29-inch barrel, Keystone’s Mini will be a single-shot .22LR rimfire with a more youth-accommodating 20-inch barrel. 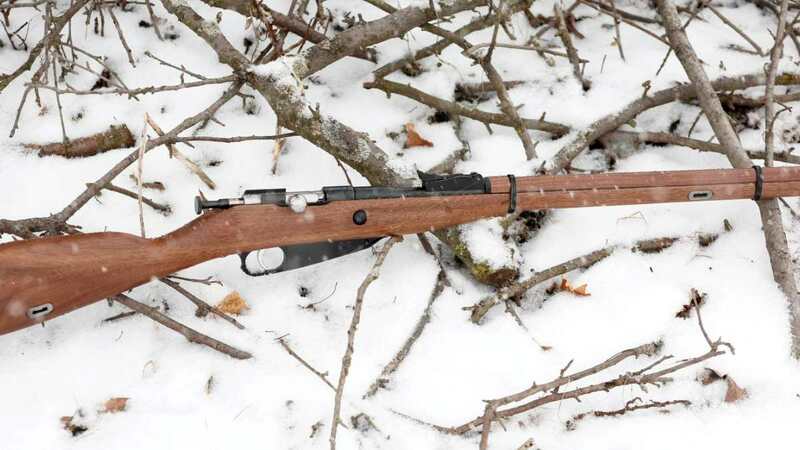 Similarly, instead of arctic birch, the U.S-made gun will feature a walnut stock. No word on MSRP yet but you can expect the company to have the prototype guns on display at the NRA’s Annual Meetings in Indianapolis later this month. If so, Guns.com will be on hand to sniff out more information, so stay tuned. The moment you've all been waiting for is finally here! We are excited to introduce the KSA9130 "Mini-Mosin"! This is the first in a series that is being released. It's a youth version of the iconic Mosin-Nagant 91/30. It features a 20" barrel and a walnut stock. This "Mini-Mosin" is the perfect size for your little "Comrade". Stay tuned for more info on how to pre-order, including how to get in on an early "Special Edition" model.